Dr. Marcel F. Daniels, FACS, FICS is a Southern California native and graduate of the University of Southern California School of Medicine. 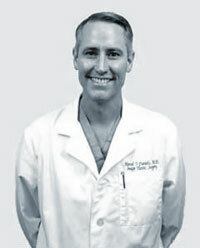 Dr. Daniels trained in General Surgery at the University of Arizona in Tucson and Plastic and Reconstructive Surgery at the Lahey Clinic in Boston, Massachussets. He then completed an additional year of Fellowships in Cosmetic Surgery. Dr. Daniels is board-certified by the American Board of Plastic Surgry and is Fellow of both the American and International College of Surgeons. He is the former Chief of Plastic Surgery at Long Beach Memorial Medical Center. Dr. Daniels offers the complete spectrum of Cosmetic Surgery with special emphasis on facial rejuvenation, breast and body contouring. For a consultation with a board certified plastic surgeon in Orange County call 1-877-981-9994.